The EDC pays tribute to the outstanding contributions of leaders in the areas of eating disorders research, policy, action, and service. 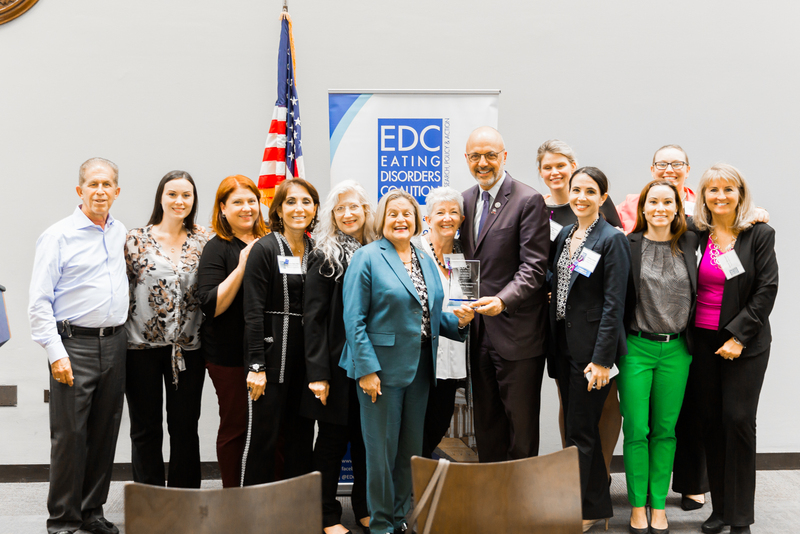 We held our first EDC Awards in 2001 and have since continued to recognize advocates, Members of Congress, and individuals who are making a positive difference for those affected by eating disorders. The EDC thanks Avalon Hills Eating Disorder Programs and The Eating Recovery Center for their generous sponsorship of this event.